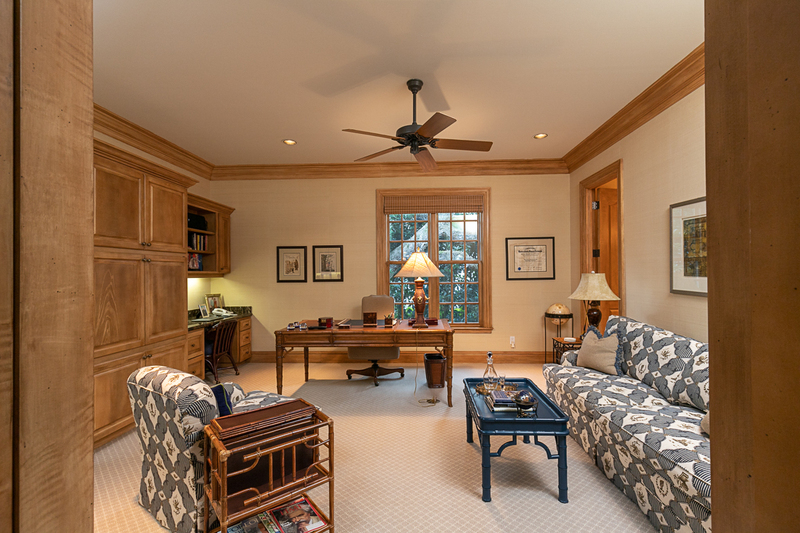 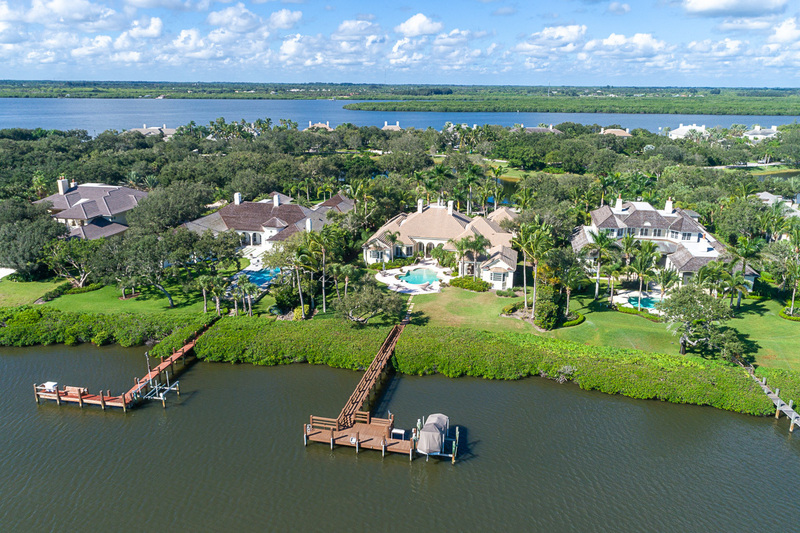 A Gem Island location coupled with breathtaking, expansive water views and a 1.05± acre lot along peaceful John’s Island Sound makes this highly desirable 5BR+Study retreat a rare find. 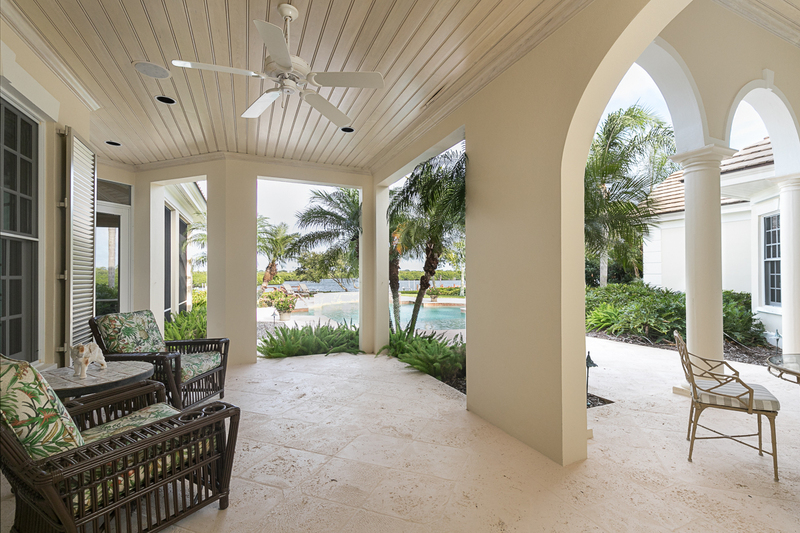 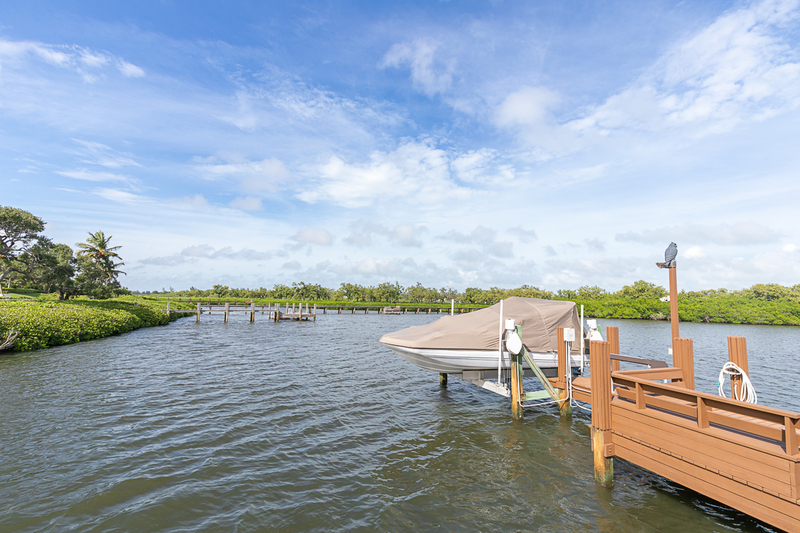 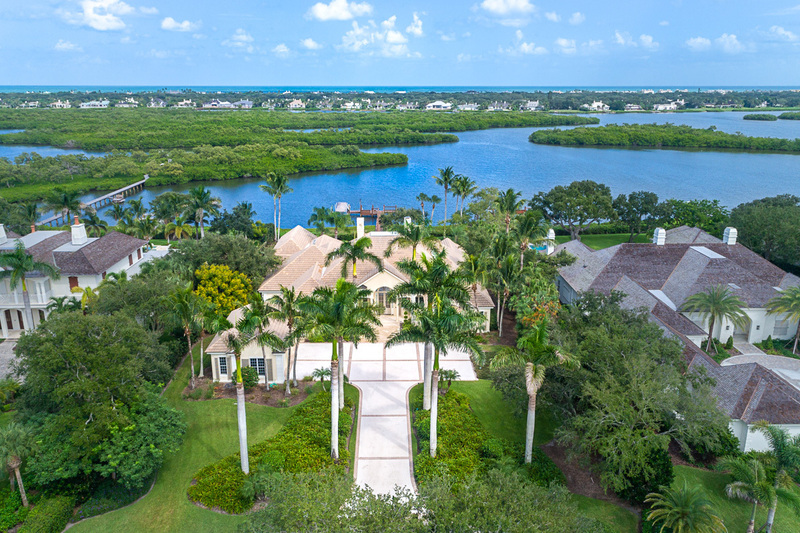 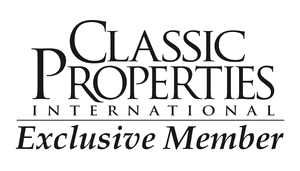 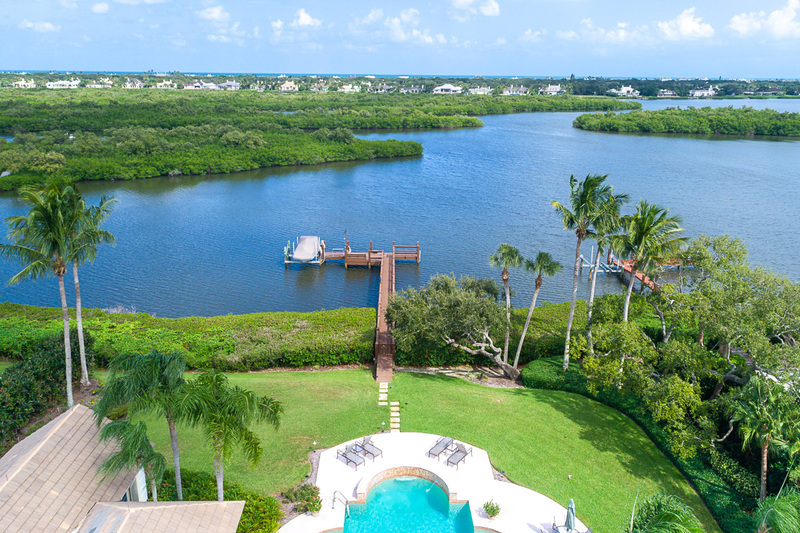 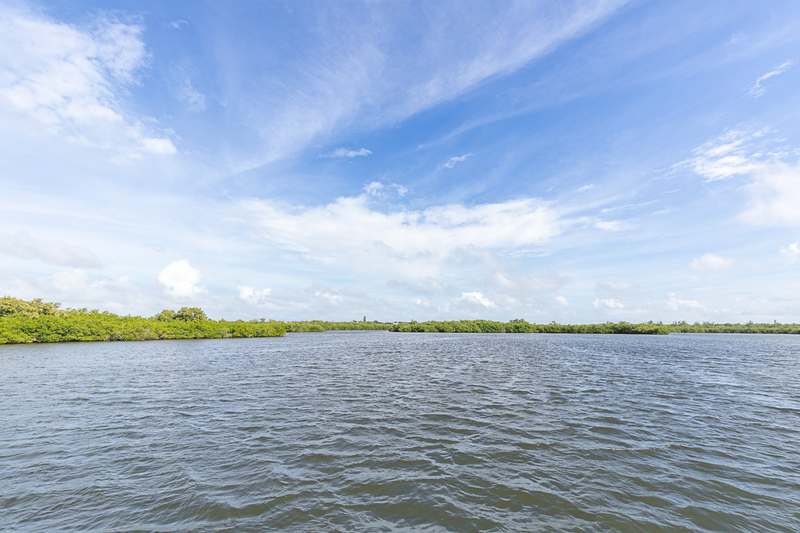 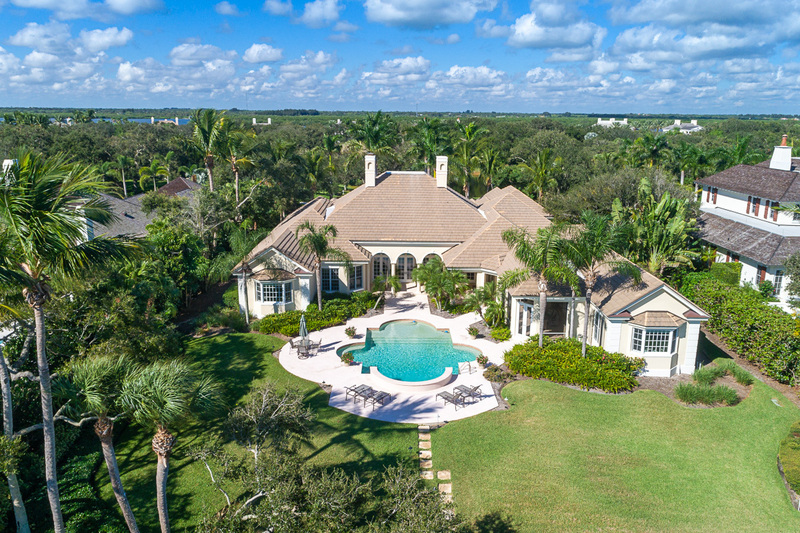 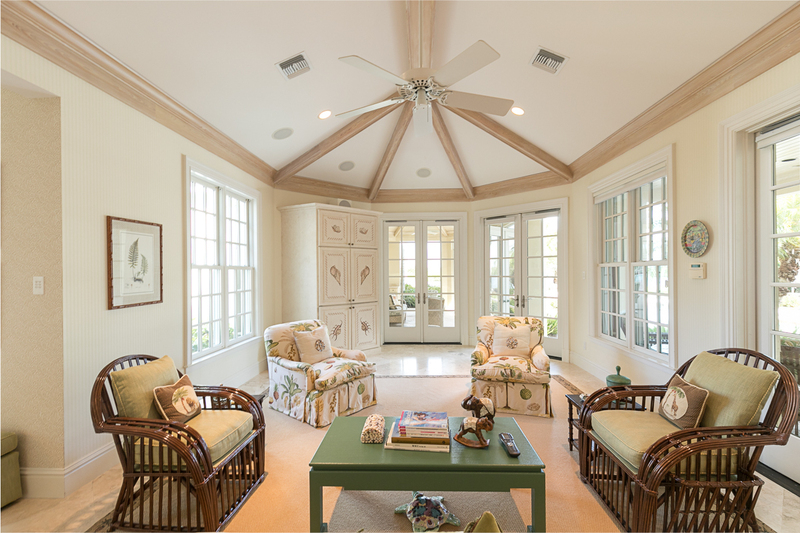 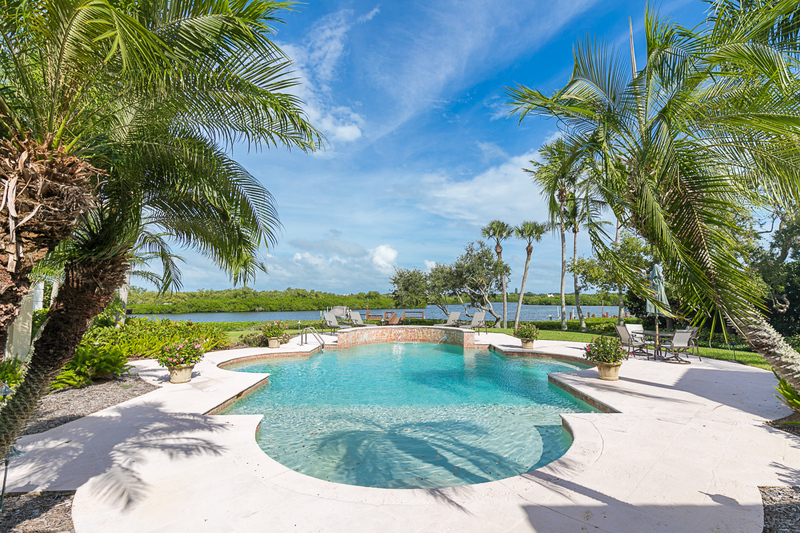 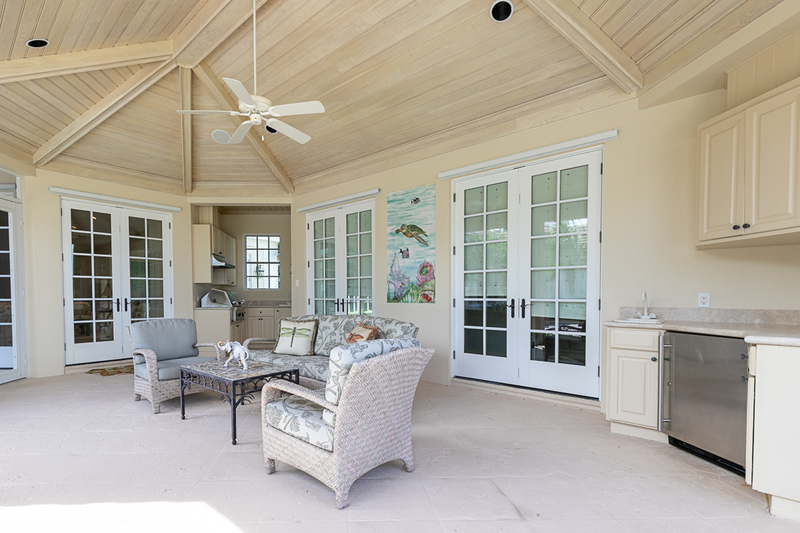 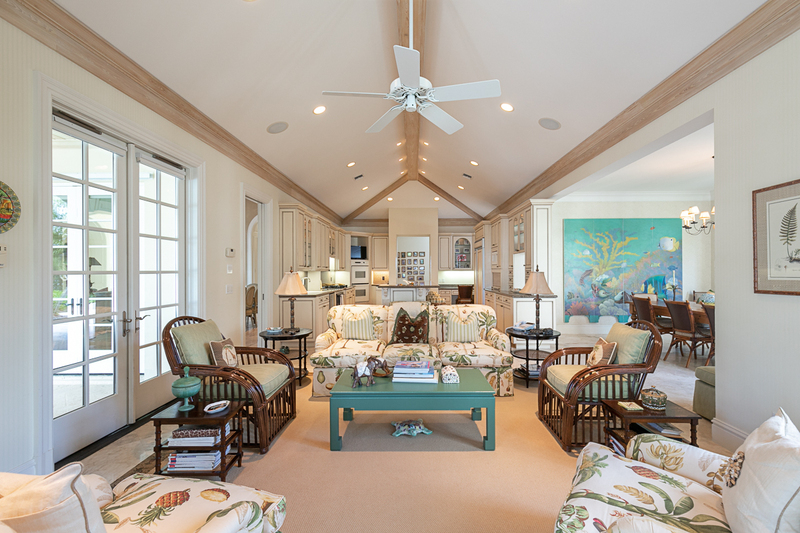 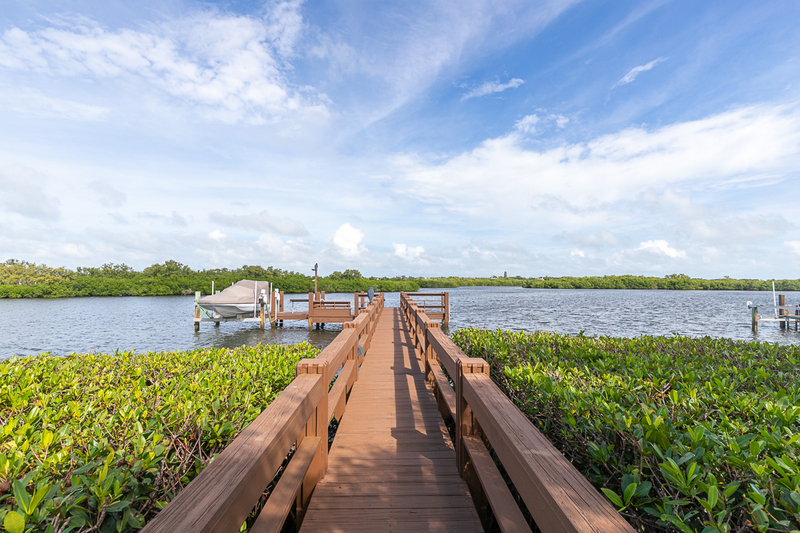 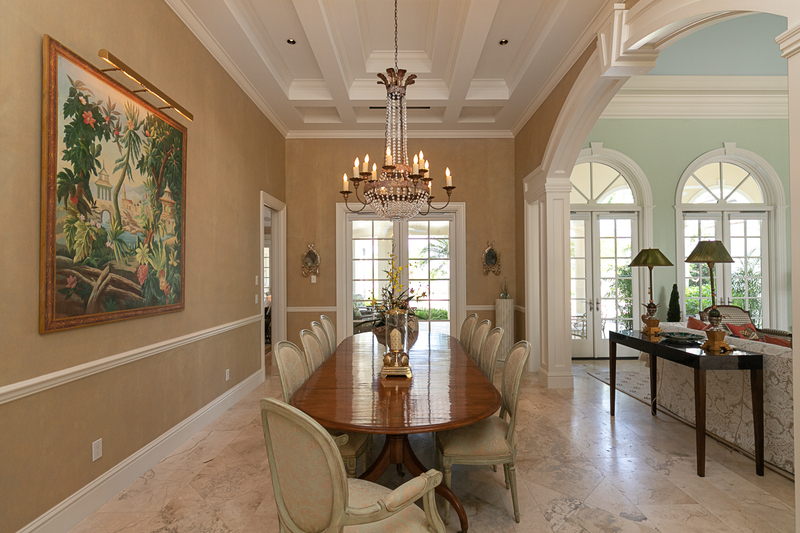 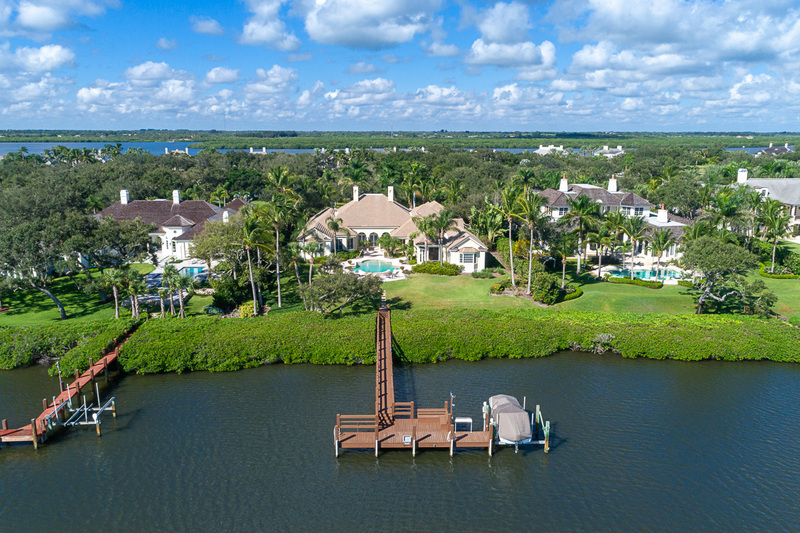 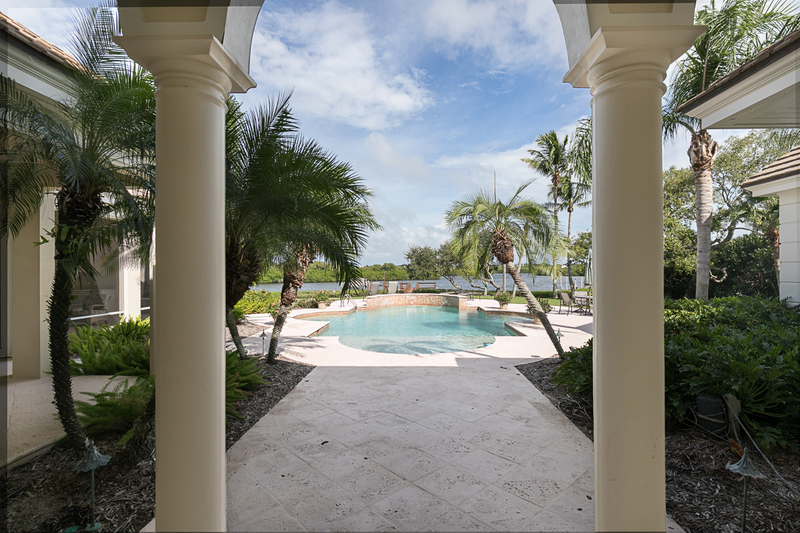 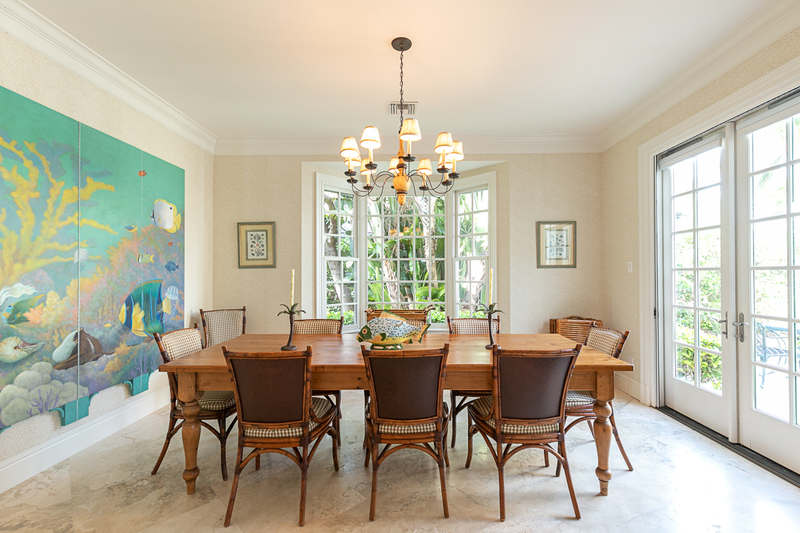 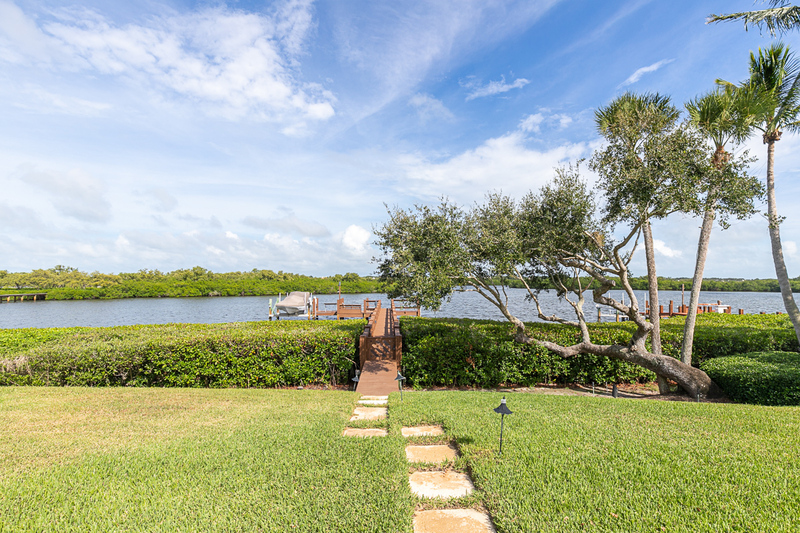 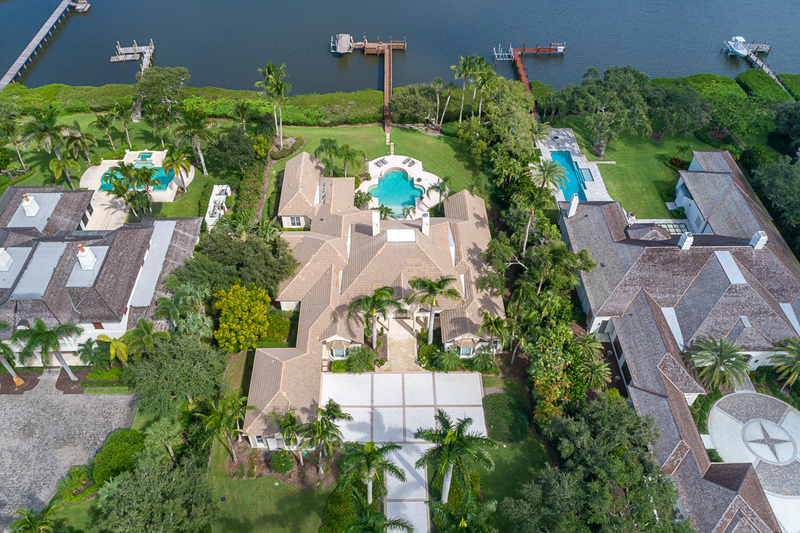 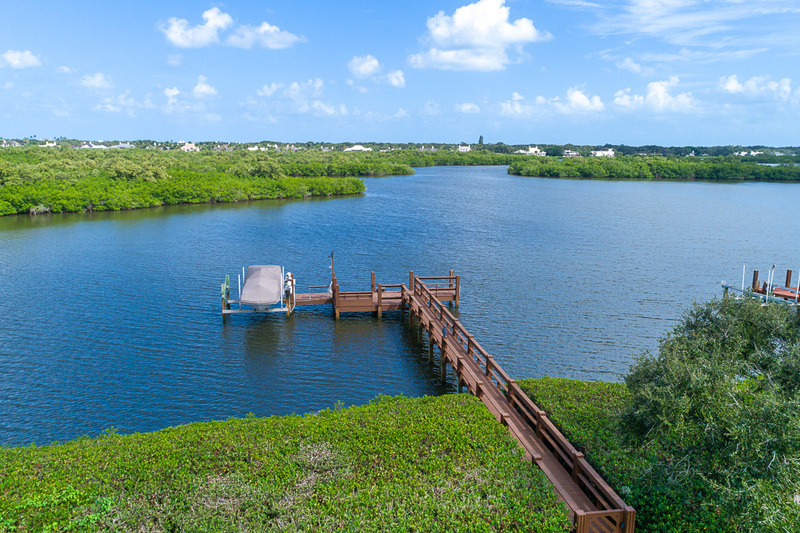 Immerse yourself in the pleasures of waterfront living with 120± feet of Intracoastal Waterway access, gracious outdoor living areas, a screened lanai with gas barbecue grill, an exceptional tropically landscaped pool with swim-out and fountain, dock with boat lift and a 3-car garage. 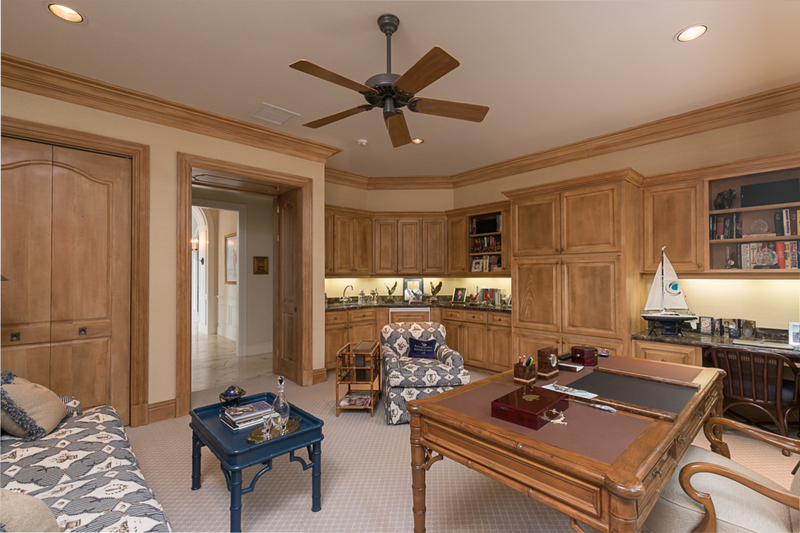 Generous interior spaces and custom finishes adorn this gorgeous 8,240± GSF estate built with quality construction and attention to detail. 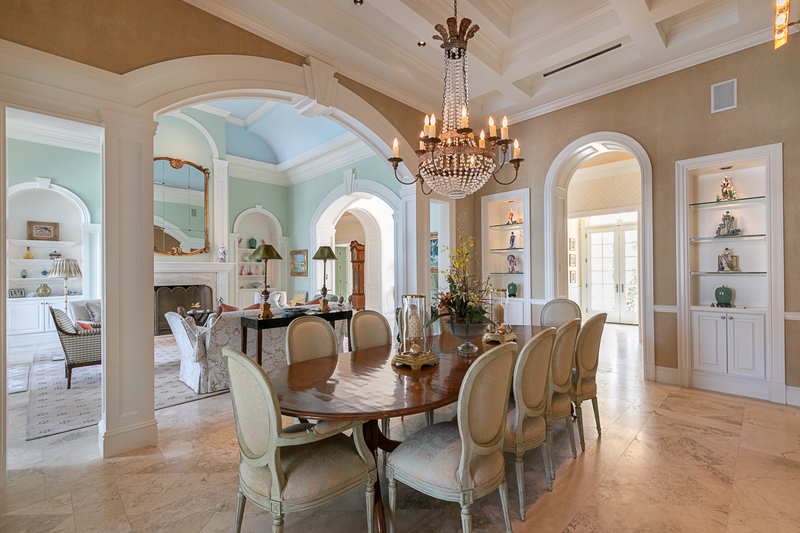 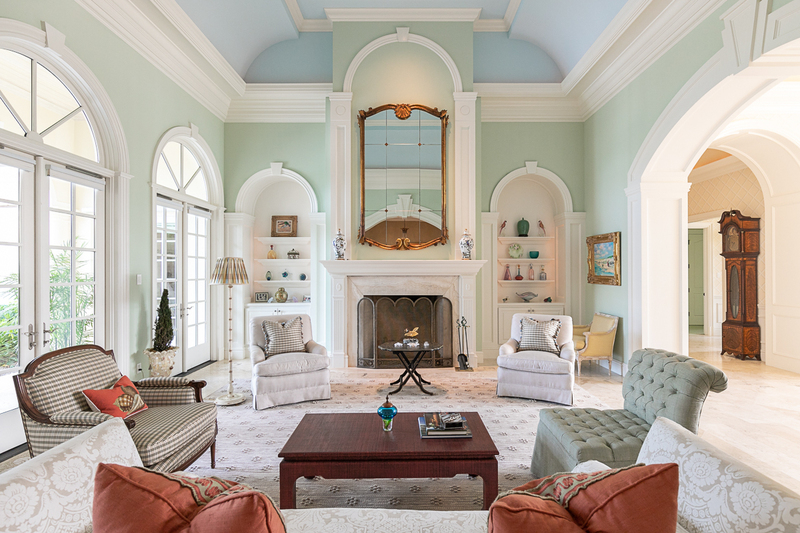 Complete with marble floors and arched doorways, the impressive living room with fireplace adjoins the formal dining room and a breezy covered terrace. 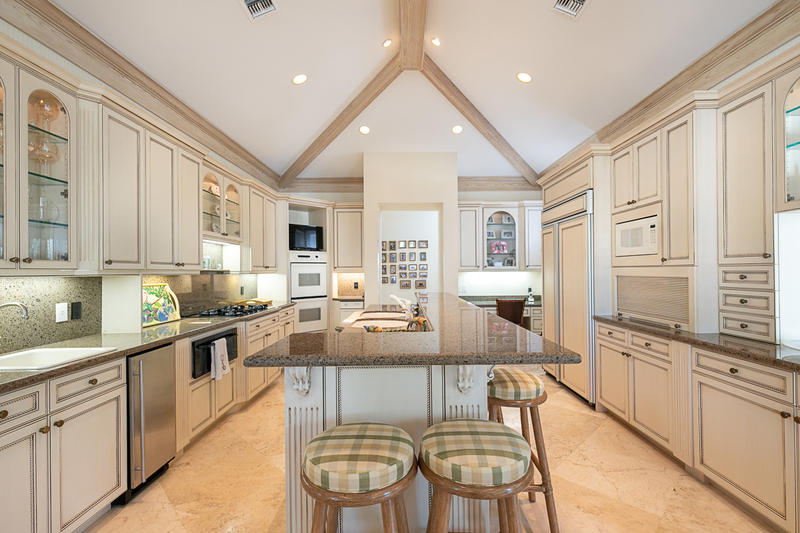 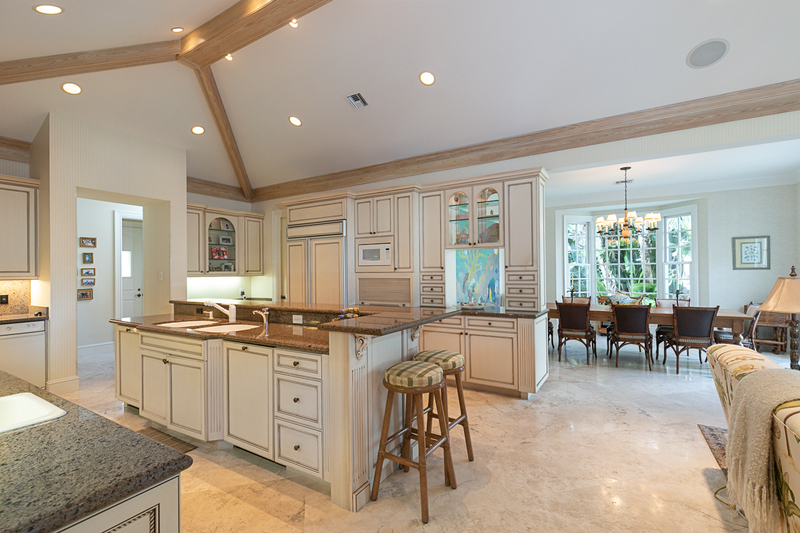 The open concept island kitchen flows effortlessly into the family room and breakfast area with multiple windows, allowing for copious amounts of natural light. 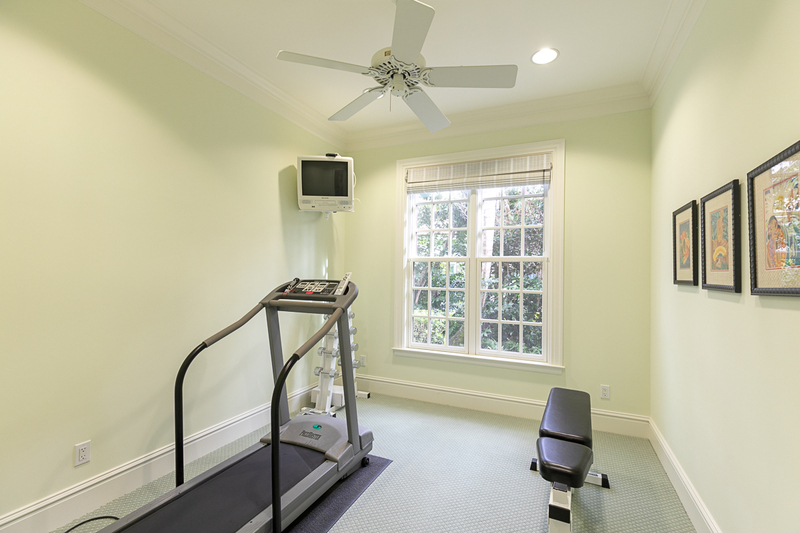 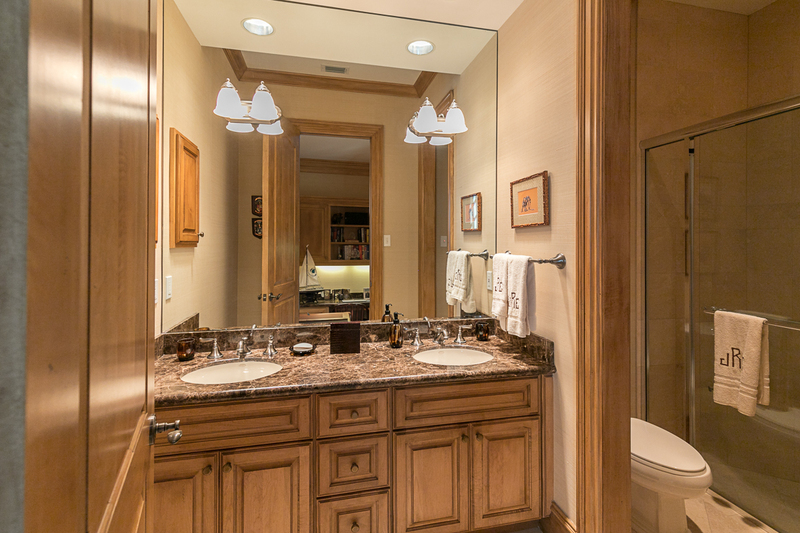 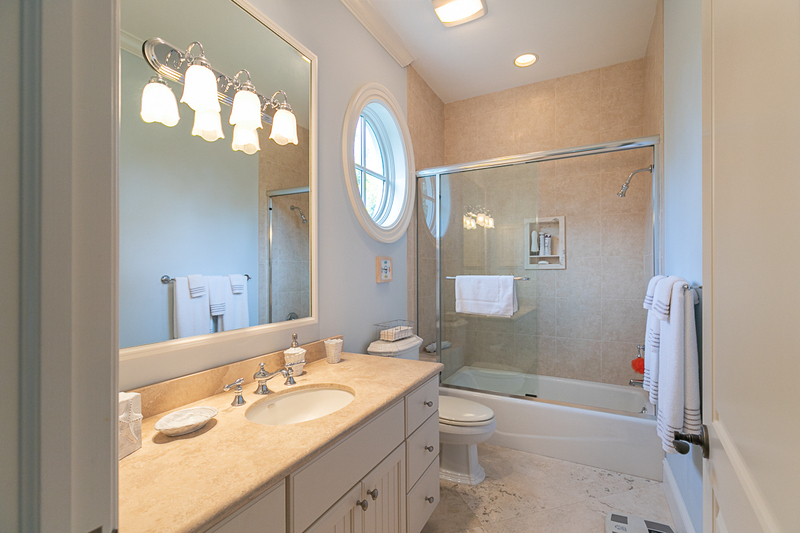 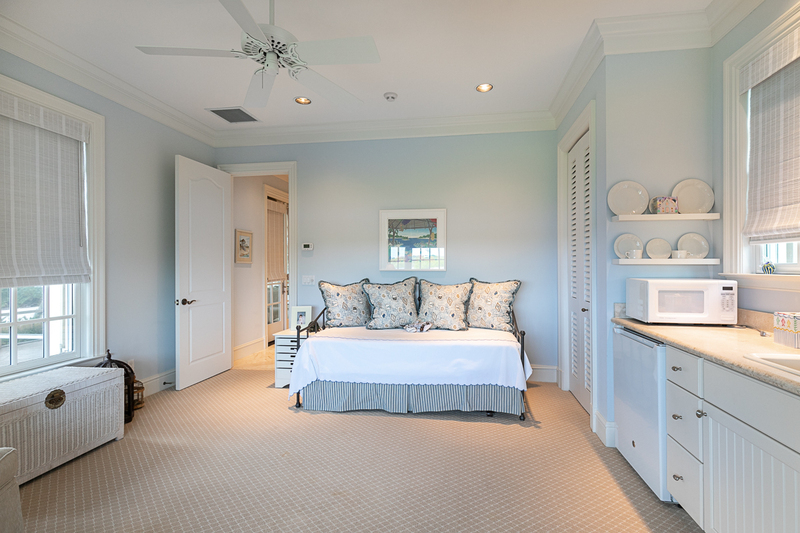 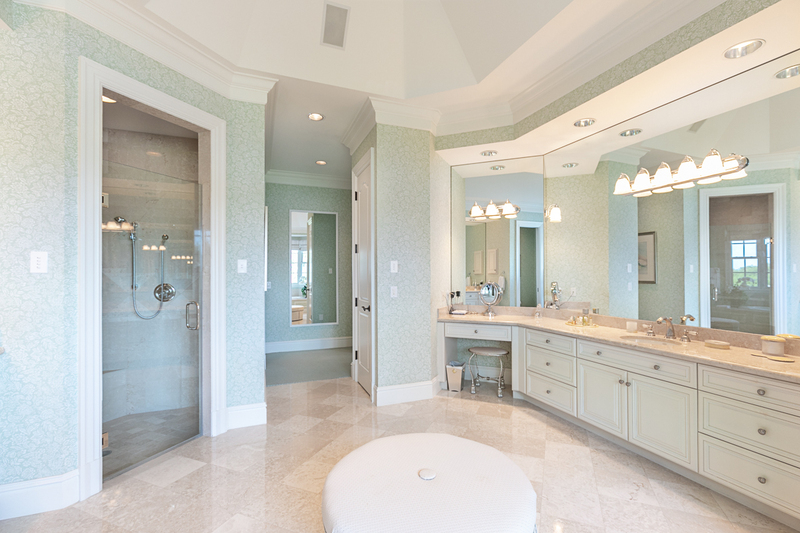 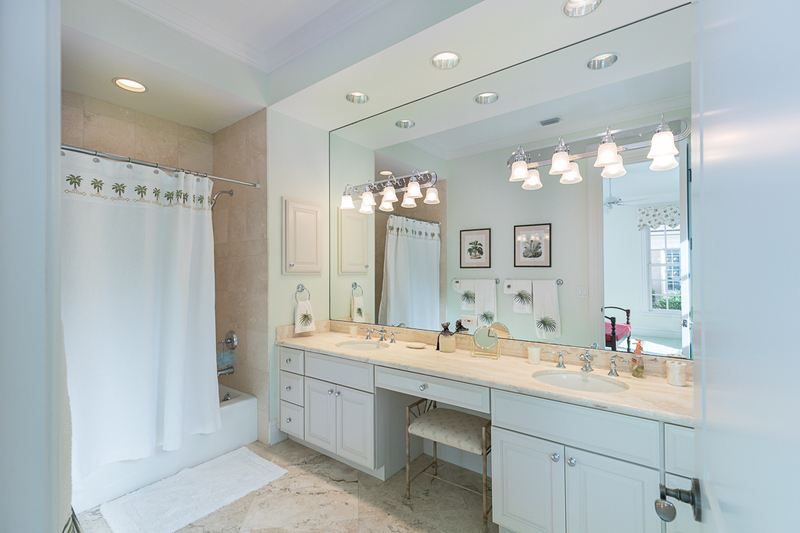 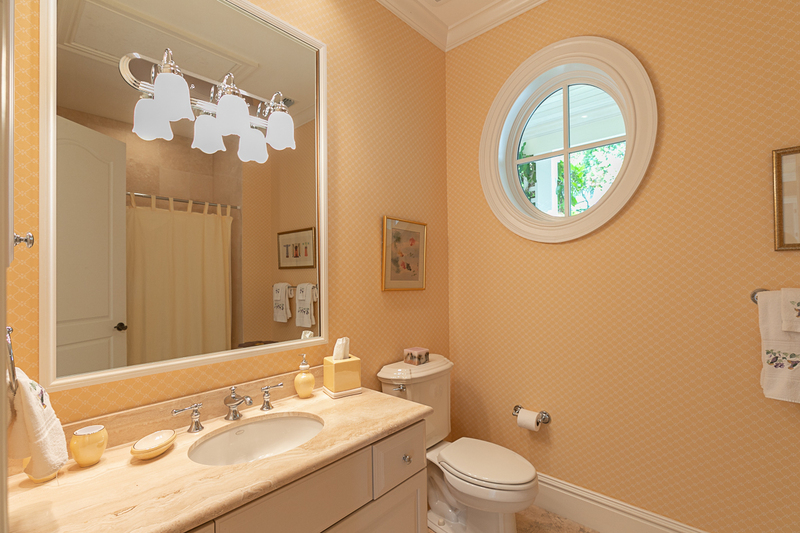 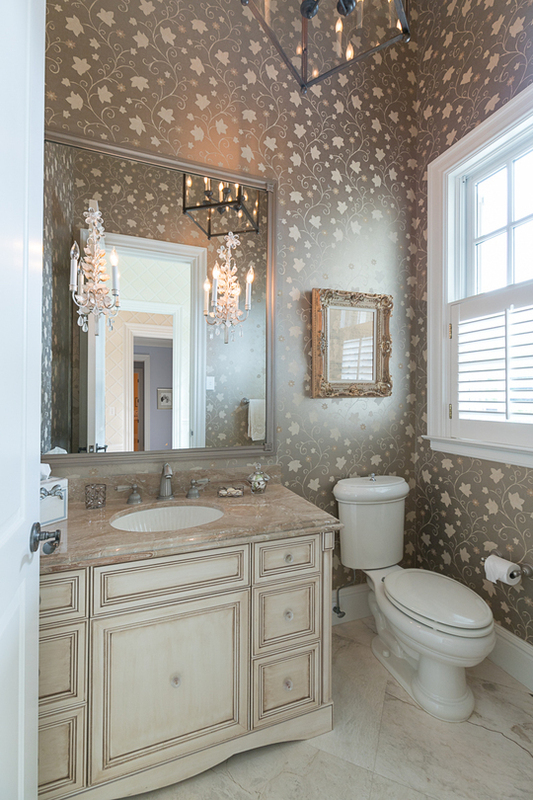 Rounding out perfection is the gracious master suite complete with a luxuriously appointed bathroom, exercise room, and large walk-in closet. 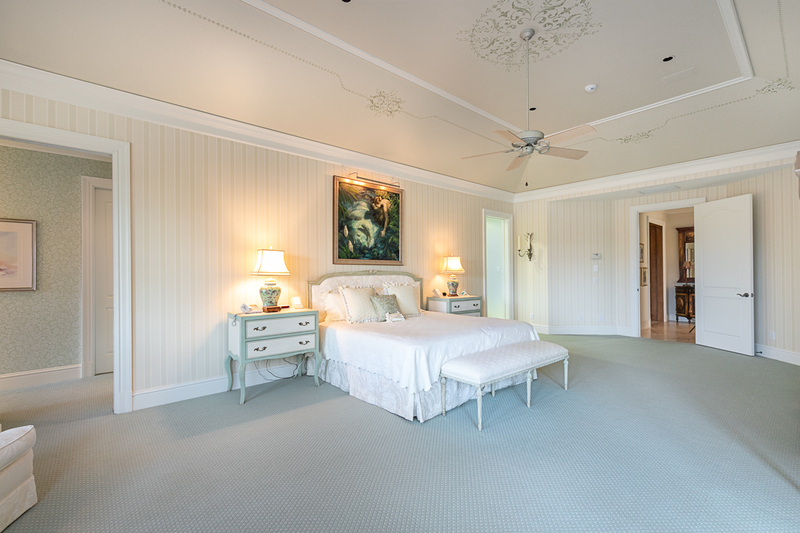 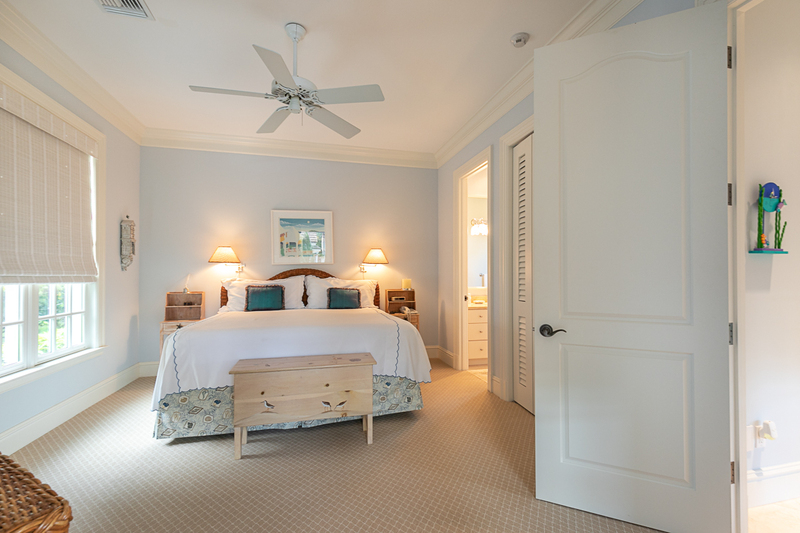 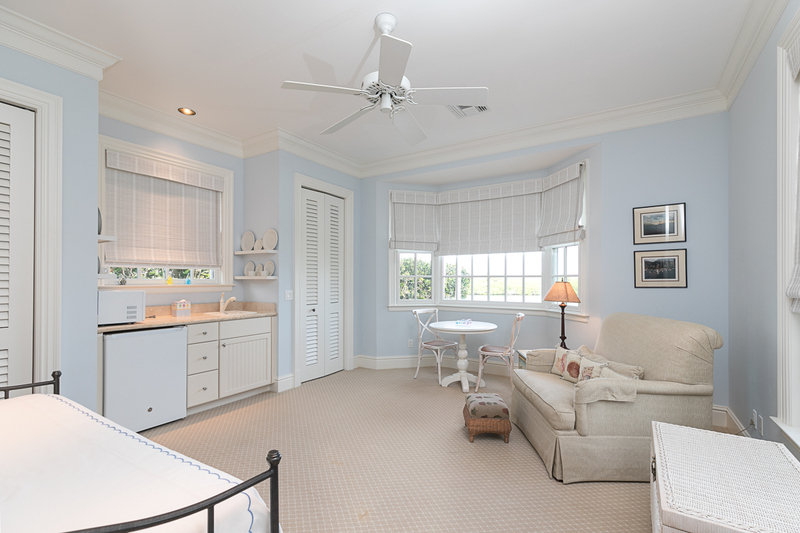 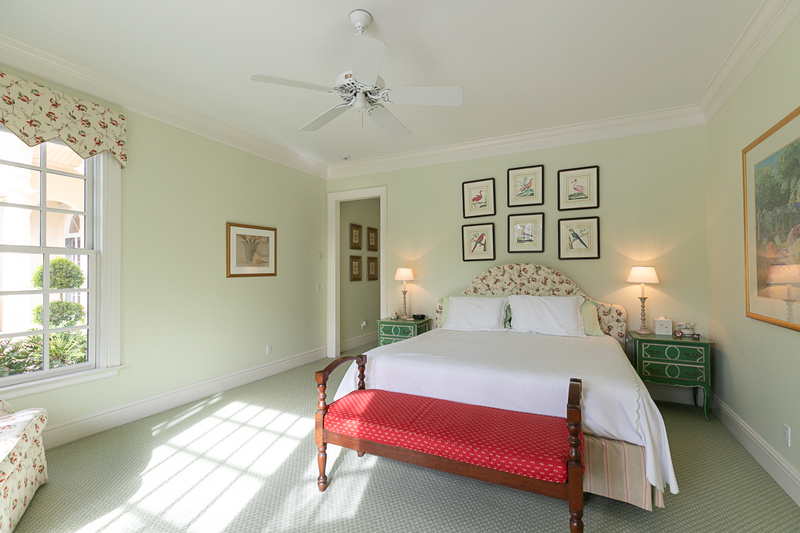 Generous guest bedroom en suites and an attached cabana offer hospitable comfort for visiting family and guests.